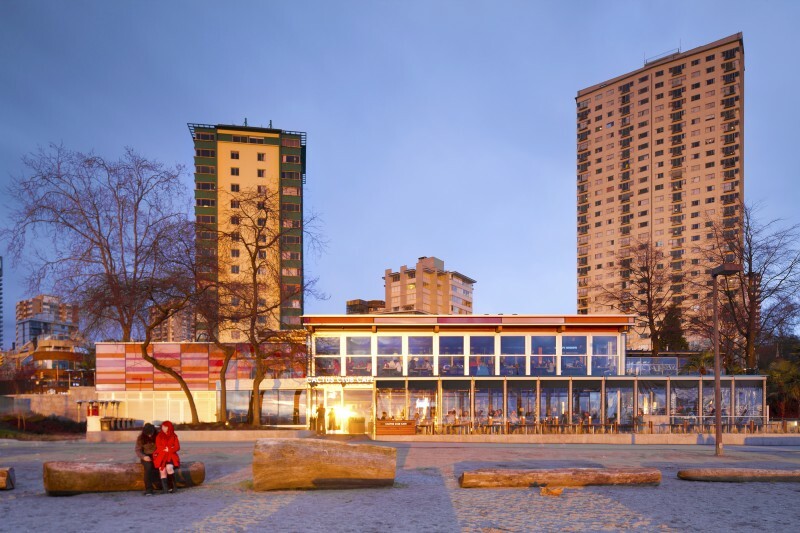 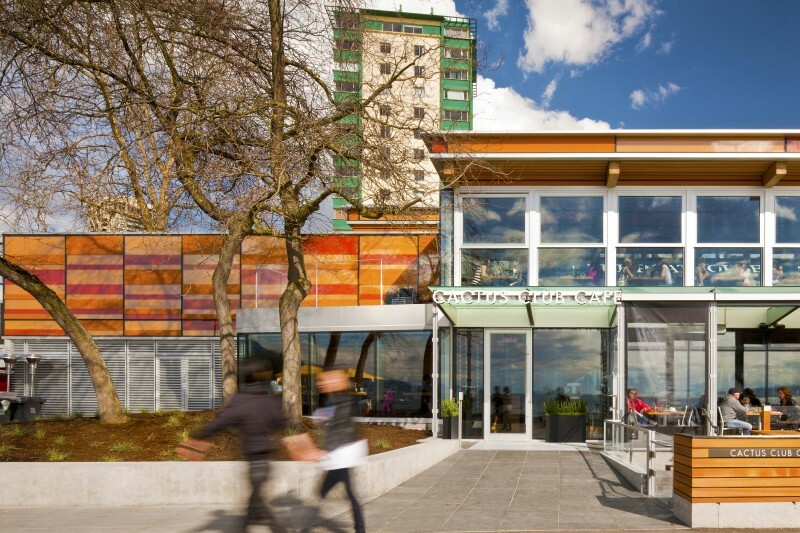 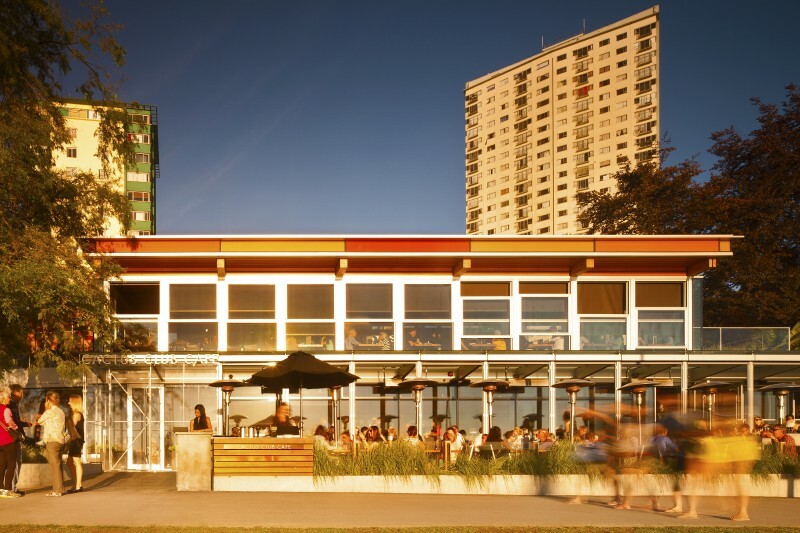 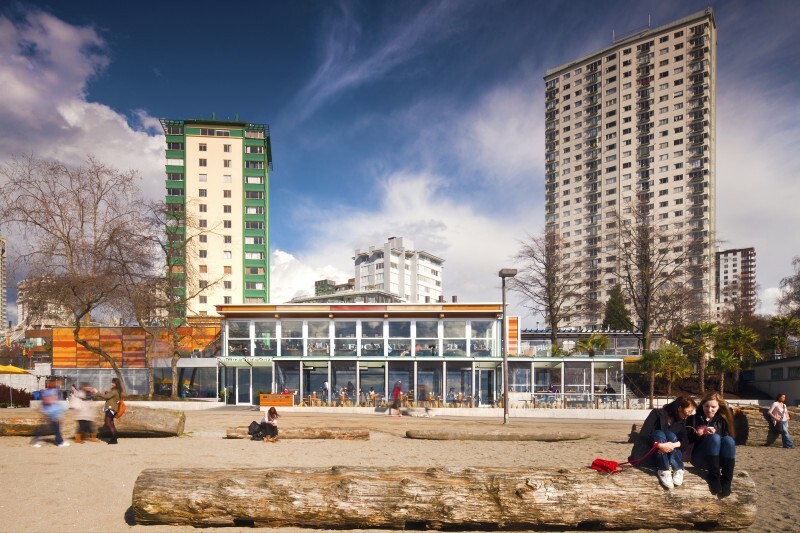 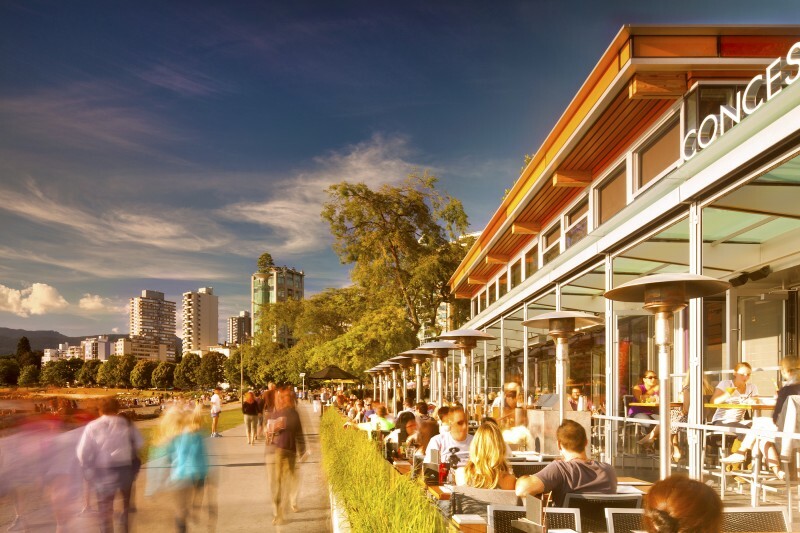 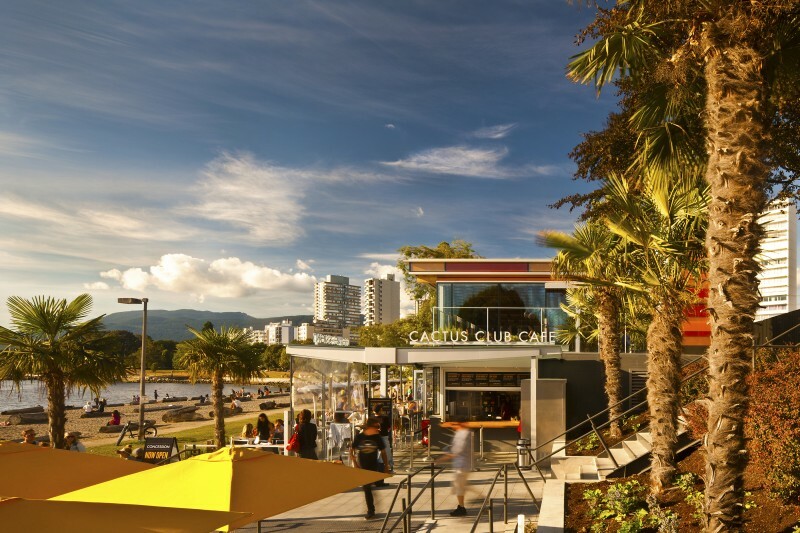 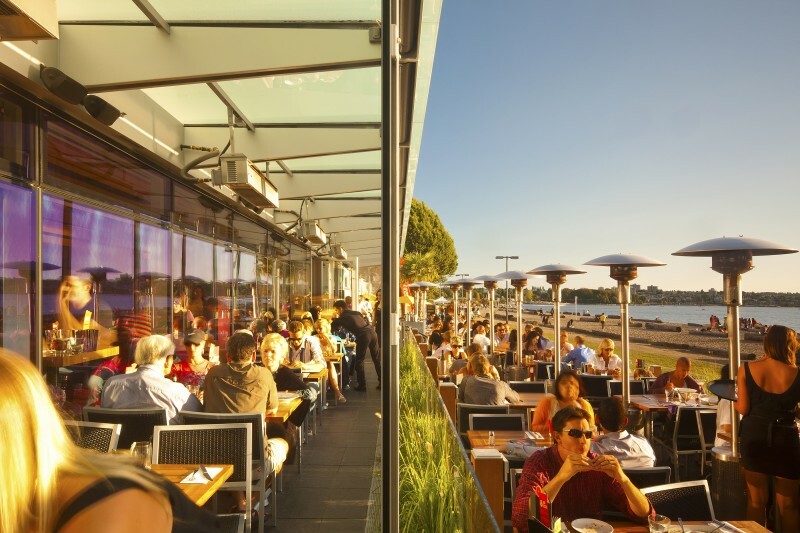 Completed in 2012, the two level, 575 square metre restaurant enjoys spectacular oceanfront views of English Bay. 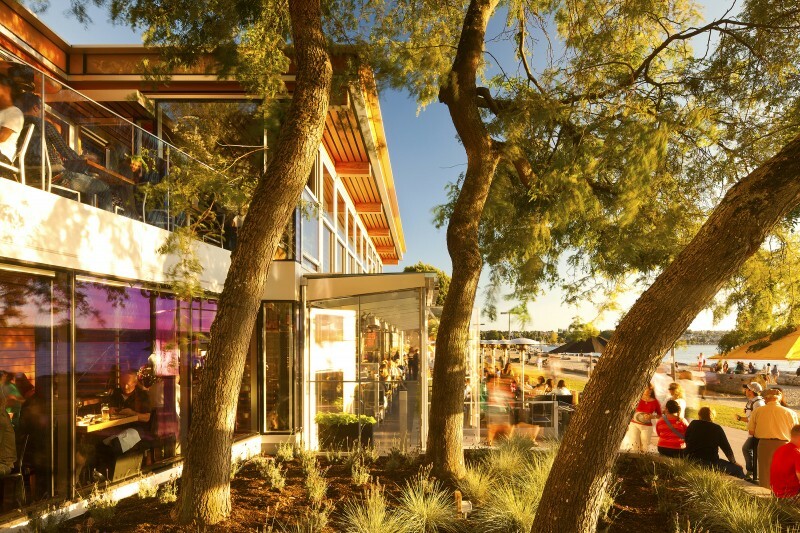 The building is nestled up against and dug into the bank with components carefully arranged amongst existing trees. 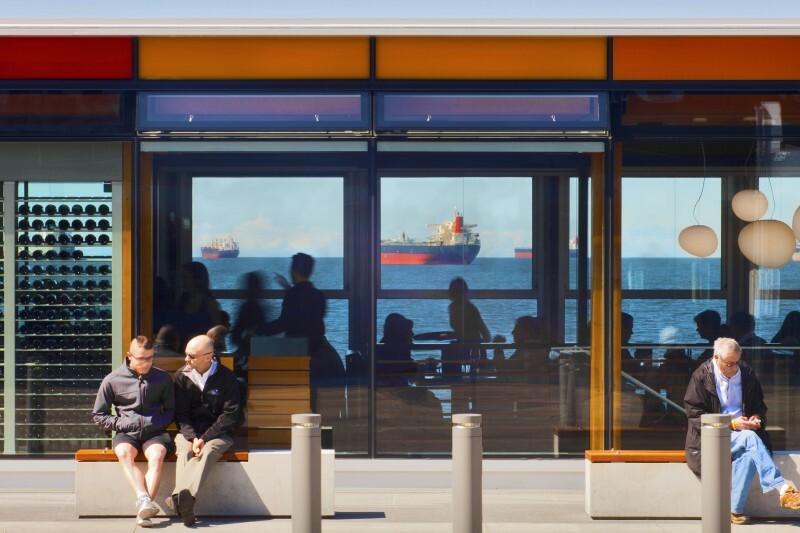 There are 166 indoor seats and 104 outdoor seats. 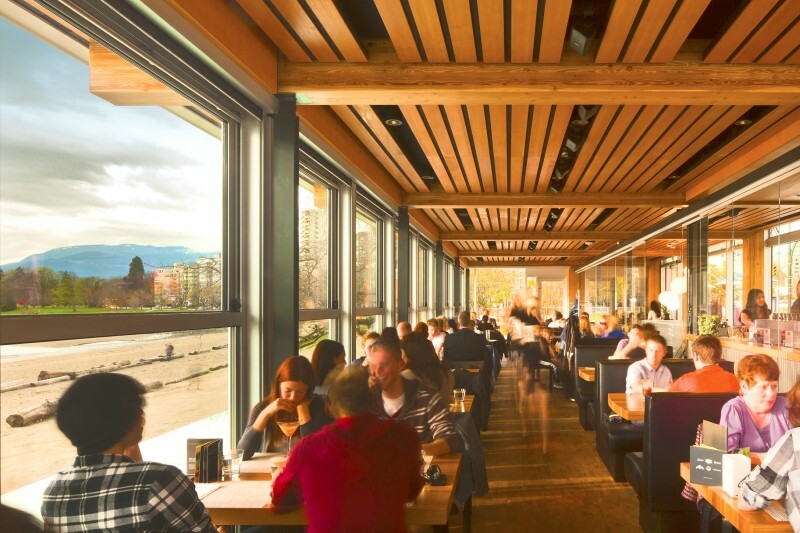 The building is extensively glazed to offer views into, out of and through the restaurant. 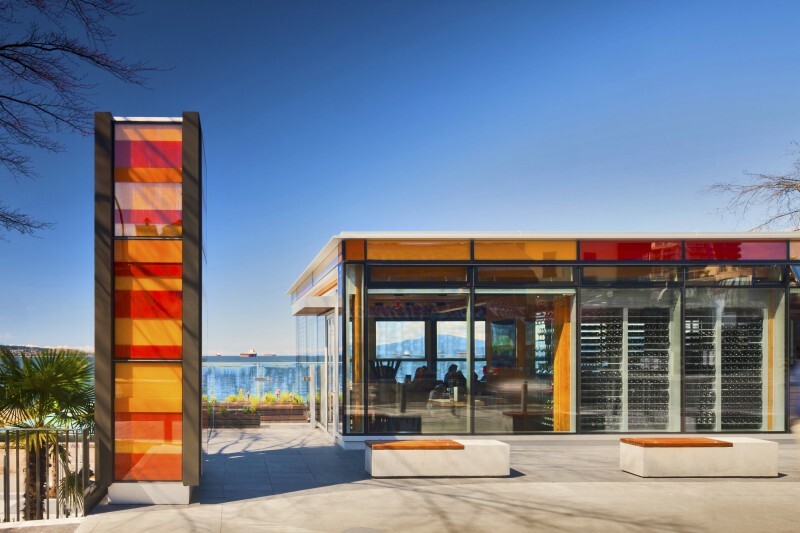 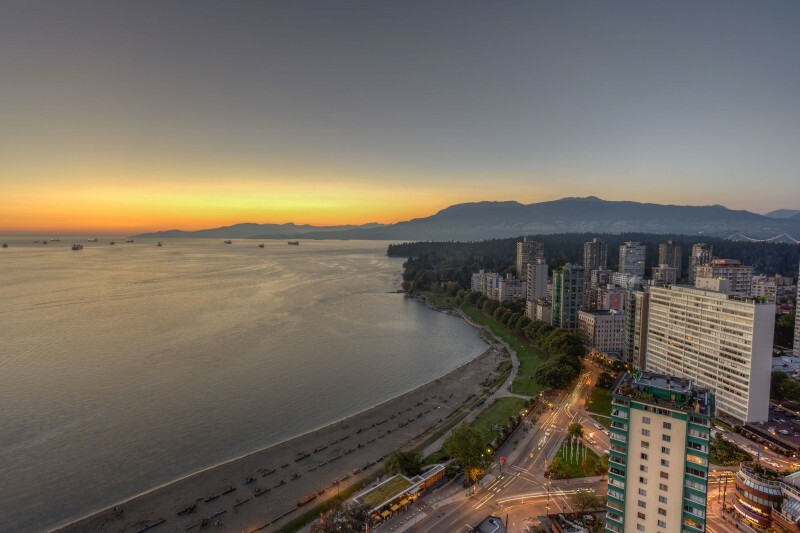 Low iron glass ensures crystal clear views while a multitude of fiery-coloured glass accent panels evoke the deep hues of the quintessential sunsets for which English Bay is renowned. 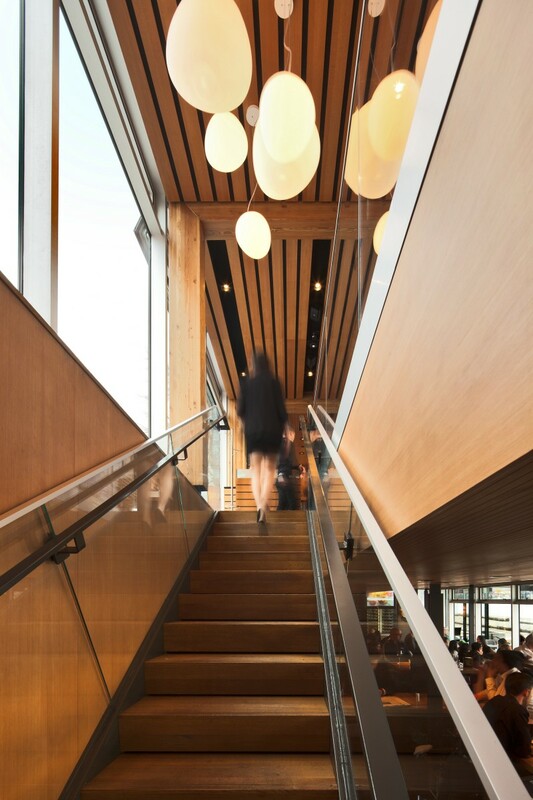 A wood-clad interior is warm and inviting. 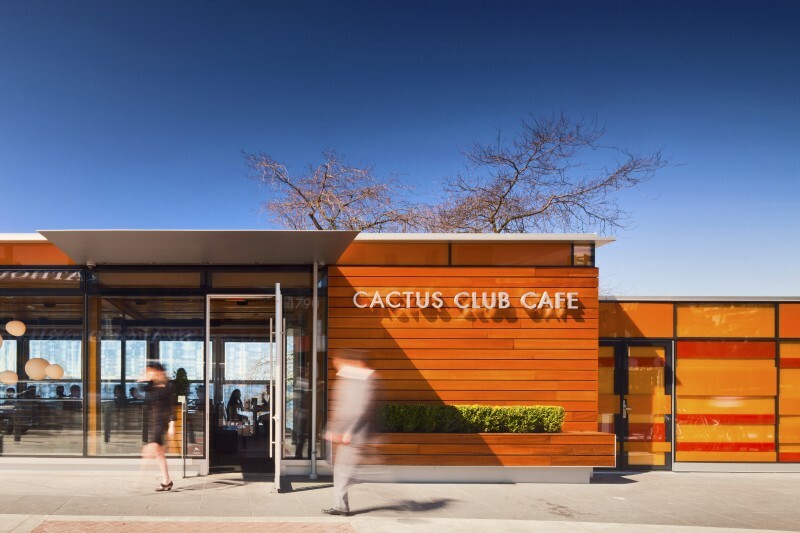 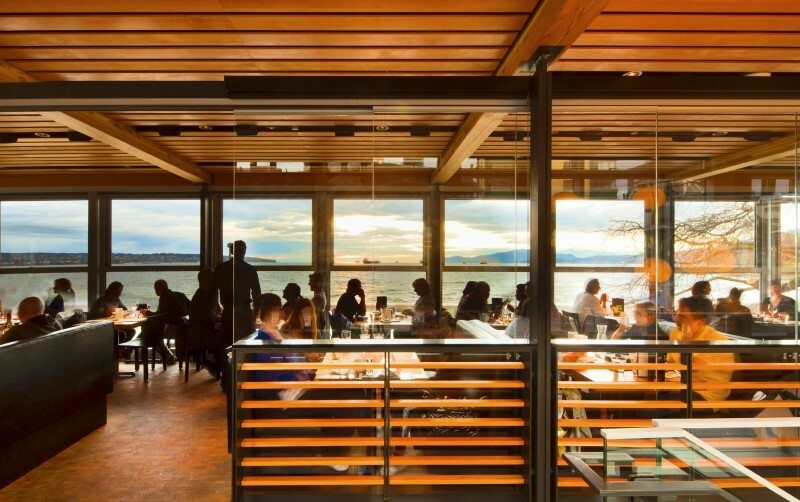 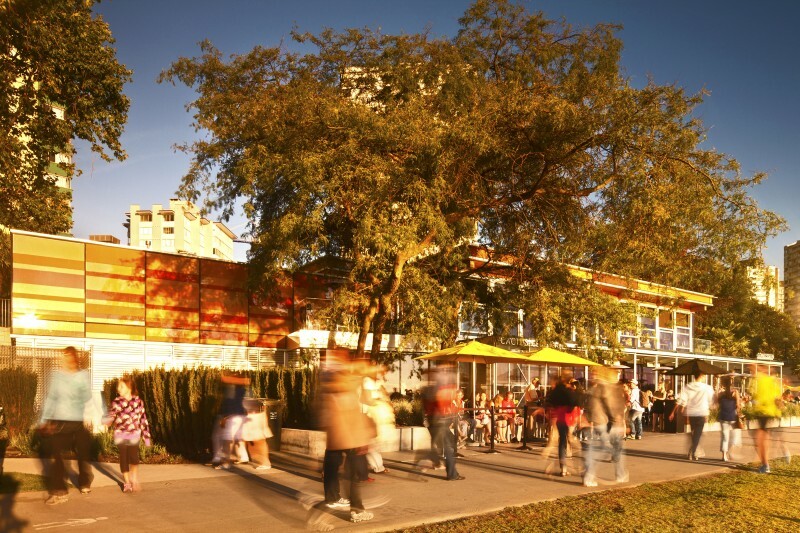 Cactus Club English Bay was the first restaurant in Canada to be awarded LEED Gold certification.